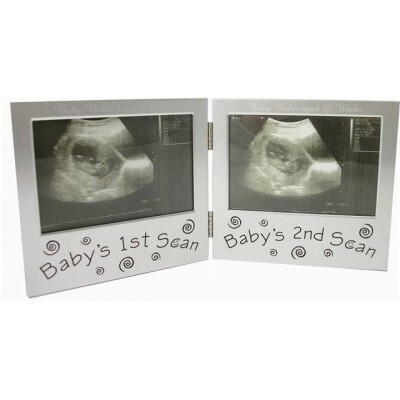 This double frame is a definite winning gift for any expecting mother. Whether it's their first child or they already have a brood they're adding to, this baby's first 2 photos are something to cherish together. Make this gift even more creative by giving expectant grandparents their own copies of the photos to cherish, with your engraving on top of each photo the recipient, whoever they are, won't be able to wait to greet the little one when they arrive !